This robot, built from the rubble of the Mindstorms EV3 kit, can recognize objects in its environment and balance on two wheels on its own. Long ago when I was in elementary school I often saw colorful LEGO bricks scattered throughout the play corners of my classrooms. But I never did see anyone build anything out of them other than small, incomplete rectangular blocks of reds, blues, and yellows. These sadly splayed little plastic bricks never did catch my interest as a kid as I darted for the great outdoors on my bike instead. Fast forward to my adulthood and I married one of LEGOs biggest fans. When the much awaited Mindstorms EV3 robotics kit arrived at our doorstep my husband’s eyes lit up in sheer delight. As I curiously watched him from afar excitedly unwrap all three boxes and the many little plastic bags inside containing hundreds of pieces I couldn’t help but come a little closer to take a look, drawn by his infectious enthusiasm. I was also curious to discover how the mind boggling mess of so many tiny pieces could come together to form a robot he was so looking forward to build. As Martin noticed that I was watching him meticulously compartmentalize and organize everything, he then invited me to build something with him. Ok sure, why not? I’ve often discovered that when life offers a new experience that piques my curiosity for whatever reason I better take it because it usually leads to a nice surprise, like finding that cool toy inside a Cracker Jack box. The cool surprises I discovered after hours of learning, laughing, building, and working together with Martin was a deeper understanding and appreciation of the engineering discipline as well as how the childhood toys that became our closest companions cultivated our skills through adulthood. The EV3 set is much more than just the colored bricks I remember from elementary school. It has evolved to include highly varied and detailed parts like studs, girders, and beams, some of which look similar to each other. I learned that when I put in one piece the wrong way I could compromise the entire structure. Then I realized a fundamental truth about engineering. This discipline requires you to pay attention to the smallest details all the way. There is no improvising or else you weaken the integrity of your creation. Everything is deliberate and every building block has its place and purpose. Engineering is not like cooking, social work, or some situations in business where at times you have to improvise and be quick on your feet. Another fundamental difference I realized between the engineering field whence Martin came and the social work discipline I studied is the dimension and orientation of time. Whereas a social worker’s job is to dig into the past to deconstruct a problem to find a solution, an engineer’s job is to build something to use for the future. This is one reality I see and love time and time again when I attend technology conferences, meetups, and events with Martin. Technology is solutions-based with a focus on the future. It survives and thrives on creating solutions, whether for work, home, or play. We also came to a surprising realization that some of our childhood companions cultivated some of our best skills today. During our building time Martin shared that as a kid he loved his LEGO sets so much he could spend hours with them. Guided by interest alone he eventually went on to study computer science and robotics, graduating with a Ph.D in Informatics. As a kid I had varied interests but remember receiving a lot of journals as gifts. I was a journal magnet. When new neighbors moved in they would give me journals. Relatives, friends, coworkers continued to shower me with journals for holidays, birthdays, and graduations. I never asked for them but they kept coming my way. So I filled these journals with the days of my life and went on to ace every paper throughout my education, convince the greater powers that be, and touch hearts in written word to this day. 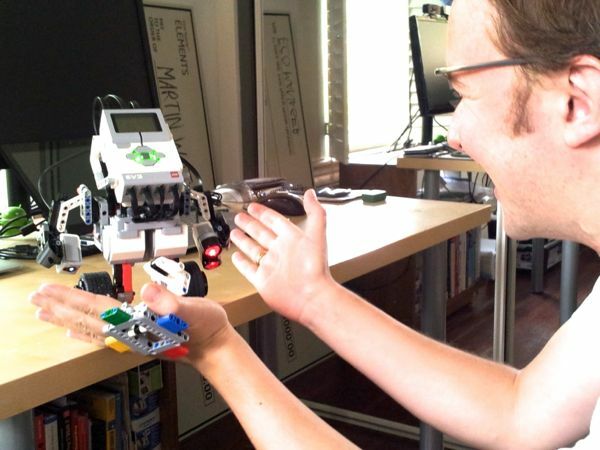 The LEGO Mindstorms EV3 robotics kit is more than a toy. For me it has served to open yet another door into the culture and modi operandi of engineers building our future. 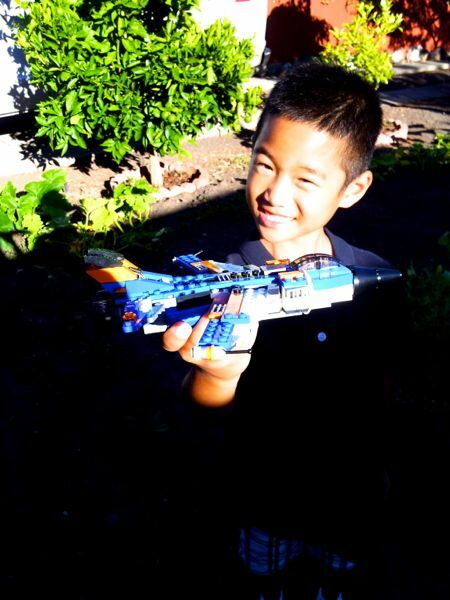 My nephew loves to build anything from jets to pirate ships. His current project is a treehouse. A real treehouse. I Am A Newborn Startup!